After 50 years of providing courier service throughout Connecticut, Mail Delivery and Courier, Inc. is expanding to Massachusetts—specifically, the Greater Boston area. It only makes sense. Boston has made national lists of the best place to start a business, and tops most lists for education. There is a lot going on and a lot of demand for fast, affordable courier services. Market familiarity. We’ve made it a point to study the Boston business market and the demands of this busy marketplace. We know we have the capabilities to provide courier service to potential customers of all sizes and in all industries. Integrity. MDCS is family-owned and operated. We take pride in providing the best courier service possible. Capabilities. From our experience of 50 years to the training we provide our couriers, we offer the speed, security, and tracking services to guarantee your property will be picked up and delivered to the right place at the right time. Mail Delivery and Courier, Inc. specializes in the punctual arrival of one-of-a-kind and unusual critical care deliveries. 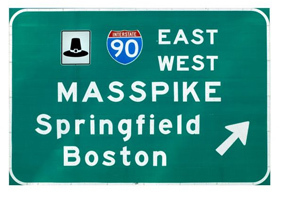 If you are in Connecticut, Massachusetts, and now Boston, we would like to be your courier and delivery company of choice. Pick up the phone and we’ll schedule your pick up!